The Mercado San Miguel in Madrid was a great place to sample amazing Spanish specialties. We shared a table with a Portuguese couple and had a lovely, if halting, conversation. When I think of who has had the most influence over my life in the past decade (other than Richard), it’s the late chef, master traveler and writer Anthony Bourdain. That sense of respect, openness and a willingness to share dinner and a drink with everyone from market vendors to grandmas and Michelin-starred chefs is something that inspires Richard and me … and many others. That his success as a writer, chef, and traveler began in his forties is a source of inspiration for us non-spring-chicken restaurateurs. We really believe that the best way to improve our menu is to be seeking out new flavors and experiences all the time. If you don’t know what’s out there, how can you know you’re doing a good job? How can you keep things fresh and interesting? Chef Olivia discovers the magic of the Fried Oyster Loaf at Casamento’s in New Orleans. There are many dishes and drinks on our menu that have been inspired by our travels. Last year, we took our management team on an eating and drinking tour of New Orleans. Inspired by that trip, we added crab-claw beignets and the Blanche DuBois to our cocktail menu. A couple weeks later, we spent a long weekend in Toronto and enjoyed its incredible food scene. The best experience, hands down, was at DaiLo, a pan-Asian restaurant with incredibly flavorful and creative food. Toronto has a vibrant international food scene and some fantastic bars, particularly Cocktail Bar and Civil Liberties. The bartenders at Civil Liberties are nothing short of amazing. There’s no menu and they all seemed to have a Rolodex of drinks in their heads (much like our own Billy Burg). I asked for a tiki drink and it came in an Easter Island head with a flaming orange on top. Oh, and it tasted good, too. When you travel, try visiting popular restaurants and bars during the week when they’re not so busy. That’s how we’ve been able to chat with so many bartenders and restaurateurs … they love to talk about their food and drinks scene. Some of our best experiences have come from chatting up an Uber/Lyft driver or someone sitting next to us at a bar. It also helps if you don’t over-schedule yourself so you have the time and head space to soak it all in. Enjoying a drink at Bouligny Tavern in New Orleans. One of my favorite travel memories is sitting in a little restaurant/bar on Magazine Street after a long day of monsoon rains. We were the only ones there, chatting with the bartender for a long time. He turned us onto Kummel, which we use in several drinks at Lark. We were back a year later and he was behind the bar again. It felt like a reunion. 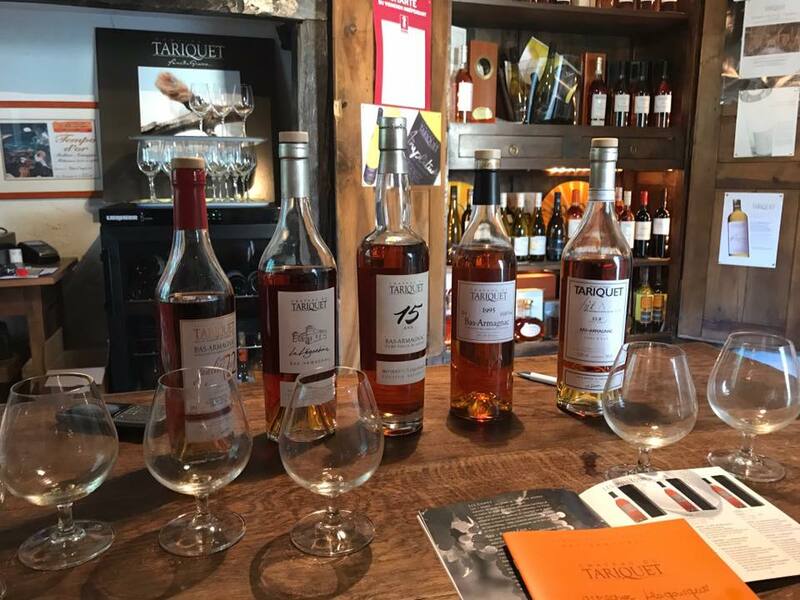 We had the good fortune to have a private tasting with the matriarch of the Tarriquet family, who have been making some of the best armagnac in Gers, France for over a century. Her stories were great. Last fall, we traveled to northern Spain and the Gers region of France for a pretty epic food adventure. I wrote about our experiences in Rioja in an earlier blog. One of these days I will write more about San Sebastian and Gascony. At some point this year, we’ll do dinners featuring northern Spanish and rural French cuisine with the wines and spirits of the regions. In the meantime, we’re celebrating travel through our Locations Wine Dinner on March 13. Locations is a really cool wine company created by winemaker Dave Phinney. He’s the guy who created The Prisoner wine and the Orin Swift wines that are so popular on our wine list. 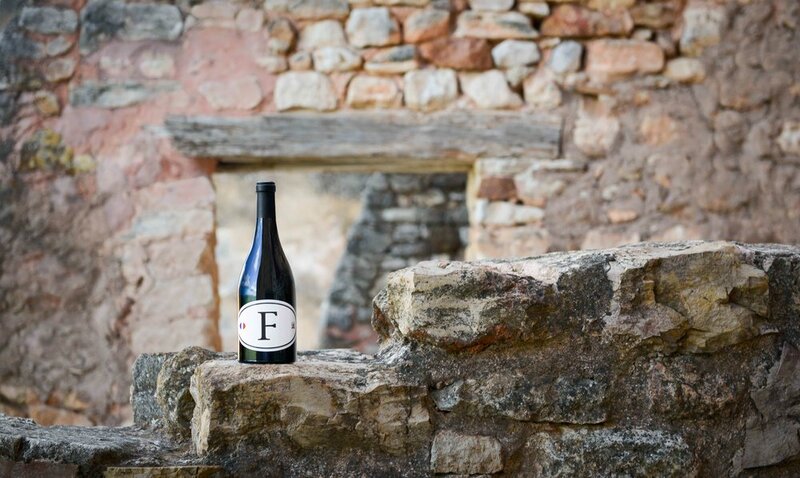 Locations French red table wine. The central idea around Locations is to create blends from all appellations across major wine-producing regions in the world to represent the country of origin. There are 13 wines in the line. Phinney is cross breeding a lot of sacred cows with these wines. All we know is they taste great. So we chose four for the dinner: the Marlborough sauvignon blanc from New Zealand, and red blends from France, Spain and California. Chef Olivia Eckert is researching the menu right now, coming up with pairings based on the countries’ cuisines. Personally, I’m looking forward to my upcoming food adventures with Richard. We’re heading to Montreal this spring to eat at one of Bourdain’s favorite restaurants, Joe Beef, and try out the whole sugar shack dining experience. The following month, we’re taking Billy, Olivia and Brunch Chef Kenny LaMendola to Austin, Texas, for another field trip. I’ve been lucky enough to go to Austin a couple times in the last few years and their food scene, especially the barbecue, is tremendous. I can’t wait to go back to The Roosevelt Room, which is like a living master class in cocktail history. You can drink the whole history of cocktails at the Roosevelt Room in Austin, Tx. Finally, Richard and I are planning a trip to Scotland this fall to tour some distilleries. I don’t know much about Scotland from a food perspective, but I know Richard will be doing his research. And the guy knows his Scotch. Speaking of, Richard loves to do research on the best restaurants and bars in various cities. He has lists from our travels to New Orleans, San Francisco and New York that he would be happy to share. If you’re planning a trip, he can point you to some great online resources for finding the best restaurants and bars. So, in the words of Bourdain: “Open your mind, get up off the couch, move.” It doesn’t matter if it’s Madrid or Milwaukee, it’s the adventure that counts. Peking duck at dandan in Milwaukee. Really delicious.